Update 2: Bethesda has tweeted out that they will give anyone with proof of purchase of the Collector's Edition 500 atoms. Atoms are Fallout 76's virtual currency. They can be earned in-game, but also purchased, so 500 atoms is the equivalent of about five dollars. "We’re investigating the response from the Bethesda Gear Store Support team and we apologize to the customer who took the time to reach out. The support response was incorrect and not in accordance with our conduct policy. Unfortunately, due to unavailability of materials, we had to switch to a nylon carrying case in the Fallout 76: Power Armor Edition. We hope this doesn’t prevent anyone from enjoying what we feel is one of our best collector’s editions." 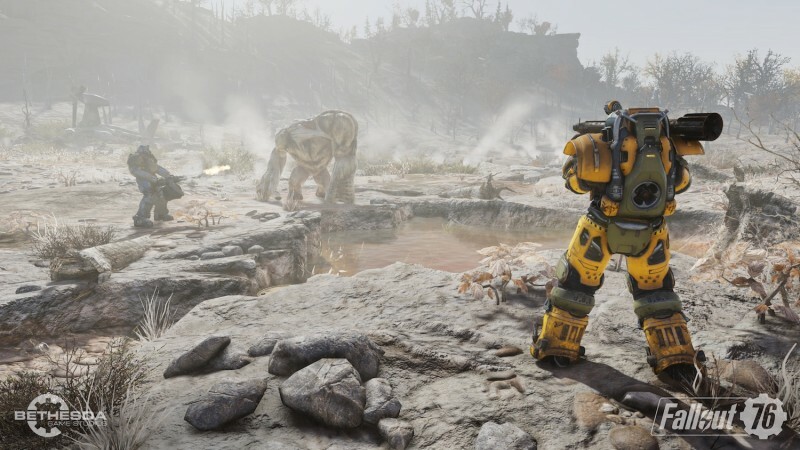 The Fallout 76 special edition, known officially as the Power Armor edition, was announced during Bethesda's E3 conference earlier this year. 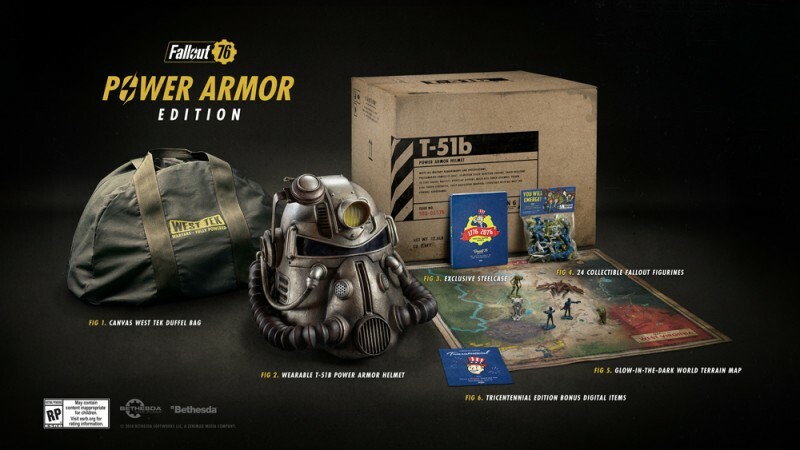 Todd Howard introduced the collectibles by showcasing a CG trailer of someone putting on a power armor helmet, then including an image of the special edition's contents. That picture, which has been and is still being used in marketing materials, is part of what's causing a new round of frustration with fans. In the advertisement, the image shows a heavy duty canvas bag for carrying your brand new Power Armor helmet around. The actual product released is a nylon bag, which is a lot less durable and made of significantly cheaper materials. It's no shock that items in a special edition's advertising are different than how they come out once they're mass produced, as anyone that has ever bought one with a statue included will certainly tell you. Materials being entirely different, especially when specifically outlined in the advertisement, is a different ballgame altogether, however. The issue became bigger when a user on Reddit named AlexanderDLarge posted screencaps of emails sent to and received from Bethesda customer service when questioned about this discrepancy. "We are sorry that you aren't happy with the bag," the customer service email reads. "The bag shown in the media was a prototype and was too expensive to make. We aren't planning to do anything about it." We have reached out to Bethesda to confirm the authenticity of the response and for any comment, but did not receive a reply by time of writing. The image for the Power Armor edition was never changed to indicate that the material for the bag was being changed and still exists on multiple retailer sites, displaying the canvas bag today. While at the end of the day it is just a bag, it does seem fairly obvious that the product released is not the same one being advertised, while piles on to the woes Bethesda is having with dashed expectations for the game. In situations like this, the fan community can be best interacted with by being understanding and honestly over-explanatory. Quick and curt responses make fans feel jerked around, especially for a game that many are already upset about. The Power Armor edition likely went to Fallout's biggest fans, it seems to me you would want to bend over backwards to make those people happy.